We are back with part 3 and the final post for this classy ride. It’s already up at it’s home at Predator Ridge Resort being used! Have look at how she turned out! We machined this custom SC Carts grill in a machined aluminum finish to tie in with the wheels. 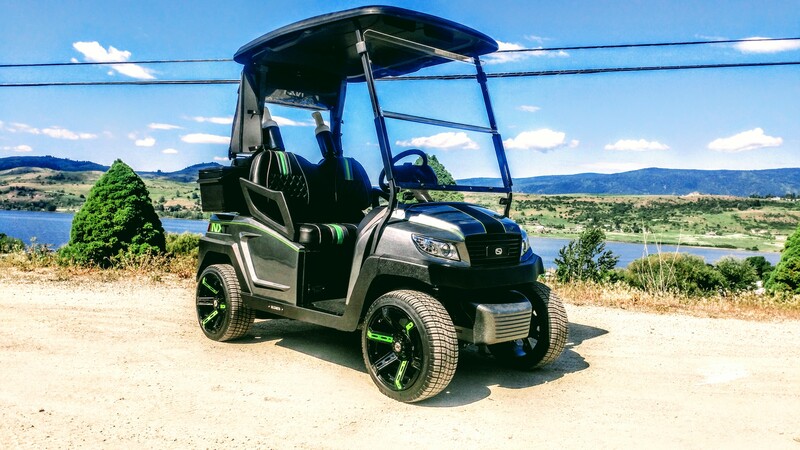 This cart turned out awesome and is ready to cruise around Predator Ridge, on the links or just buzzing on the cart paths! What can we say, another beauty to be parked up at the Ridge and it will fit right in with all it’s SC Carts brothers and sisters up there! We sure love our Pred customers!